The Smokies are home to 100 species of native trees, so the fall foliage in the mountains is absolutely spectacular. When you stay at Moose Hollow Lodge, you will be able to admire the autumn colors right from your cabin’s deck. Located on the second level of the lodge, Moose Hollow’s deck is a destination in itself! Guests will enjoy 12 rocking chairs, two large hot tubs with room for five people, and breathtaking mountain views. The deck wraps around all four sides of the lodge, so you will have panoramic vistas of the stunning red, yellow, and orange leaves in the Smoky Mountains. For the best leaf peeping conditions, we suggest renting our lodge during the last two weeks of October or the first week of November. 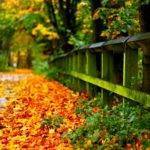 However, weather patterns can sometimes cause the leaves to change earlier or later than expected. 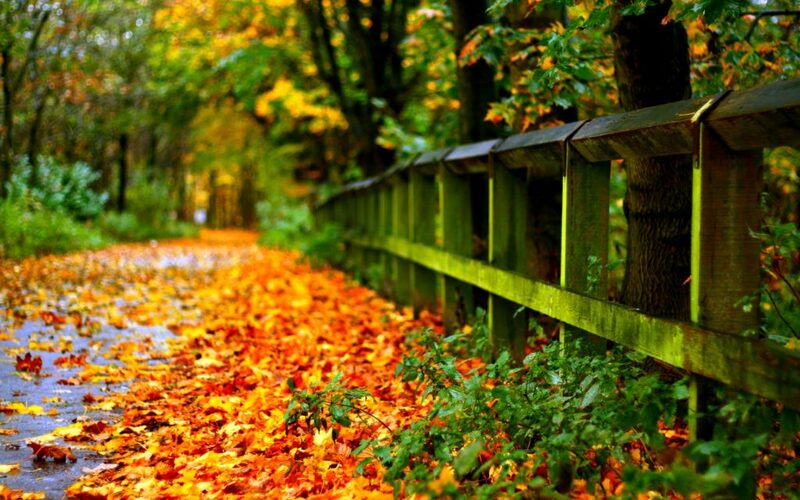 If you need advice about coordinating your trip with the foliage, don’t hesitate to give us a call! Guests at our Smoky Mountain lodge will be 25 minutes away from one of the best fall festivals in the Smokies! 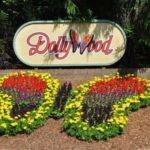 Every October, Dollywood hosts the month-long National Southern Gospel & Harvest Celebration. This annual event features over 350 concerts from some of the biggest names in Southern gospel music. All of these performances are free with park admission, so it’s definitely worth getting a multi-day pass if you’re a gospel fan. In addition to all of the Southern gospel stars in attendance, Dollywood will also host about 40 artisans from around the nation. These skilled craftsmen and craftswomen will be located in booths around the theme park to demonstrate their trade and sell their products. Guests can expect to find pottery, paintings, jewelry, textiles, dulcimers, dolls, flutes, wood carvings, stained glass, and other handmade works of art. To book your fall vacation, reserve our Smoky Mountain lodge today! We came to Moose Hollow lodge to celebrate my cousins wedding, we had a very large group but we didn’t feel crowded. Lots of options for the Adult kid in every one. Indoor pool, movie theater, air hockey, even arcade games. We were all big kids, having a blast. No need to go anywhere…loved it!